Of course this role was made famous (and more recently infamous) by Arnold Schwarzenegger but at it’s earliest stages there was going to be another person donning the leather jacket. 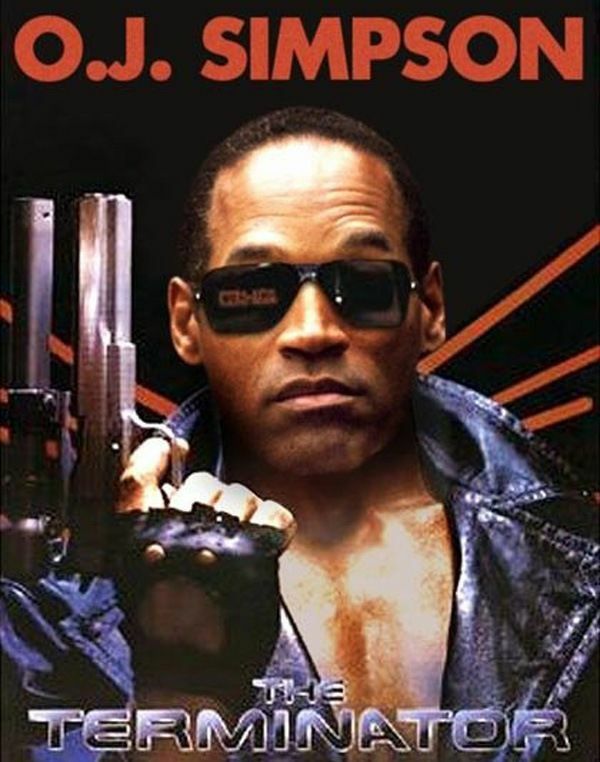 OJ Simpson was considered for the relentless killing-machine with Arnie being cast as Kyle Reece. You can imagine how this would have changed the movie. Arnie wouldn’t have been the underdog soldier that Michael Biehn so effectively portrayed and instead would have stood toe to toe with Simpson. This would have dampened the impact of what felt like insurmountable odds in James Cameron’s Sci-Fi horror. The role of The Terminator himself would probably have failed to be as iconic, as it wouldn’t have been a strong, silent killer but a role probably more charismatic and less intimidating. The franchise dodged an early bullet. This was practically cast and done. Tom Selleck had done screen tests and was fitted for the fedora and whip. Unfortunately for Lucas and Spielberg and luckily for Harrison Ford, Selleck’s pilot for Magnum PI was picked up. You have to wonder what impact it would have had on the career of Selleck and the success of the franchise. Selleck can act and in certain situations, especially with Spielberg at the helm, could well have portrayed Jones very well. It wouldn’t have been the gruff, violent character it became with Ford but could well have cruised on Selleck’s natural charm. The bigger impact would clearly be on Selleck’s career. He has never done badly but you could imagine the starring role in the Spielberg adventures would catapult him to the top of the Hollywood A-List and change his career forever. Can’t imagine Indiana Jones with a moustache though. This wasn’t especially close but Lawrence did audition and the role was given to Kristen Stewart instead. The movies probably wouldn’t have been too different: Lawrence would still have had to cope with a role which is essentially staring and pouting but you wonder how her career would have been affected. This comes down to the argument of movie choices or talent affecting an actor’s career. Stewart is a star but not the megastar that Lawrence has become, regardless of her association with a huge franchise (bigger than Hunger Games). Maybe Lawrence would struggle to get the roles that made her career. Or maybe her talent would have won out and the choices would have landed at her feet anyway, carving the same career but with a different franchise. The role of The One in The Matrix was offered to Will Smith and due to him “not getting it” he turned it down. Even a man with an ego as big as Will Smith’s could see what Keanu Reeves did with the role (which was very little in the large scheme of things) and see that Smith would have not been the right fit. Instead of being an intriguing Science-Fiction epic that changed the movie industry it would have become a “Will Smith vehicle.” It would have lost it’s edge and grit and became a more polished Hollywood movie, with Smith stealing every scene. You can’t imagine Lawrence Fishburne and Will Smith going head-to-head in a martial arts battle (but now I’ve suggested it, you definitely kind of want to see it). When Harry Potter was a small-scale gamble in Hollywood, Warner Brothers wanted to ensure some sort of large star to draw interest and audiences. 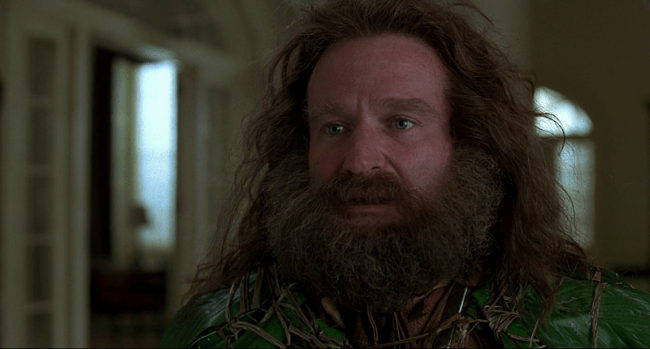 That would be Robin Williams as Hagrid. Williams was also keen but J.K Rowling had a clear and well-known “British-only” casting rule and it was shut-down. As much as Robin Williams is fantastic in almost everything he starred in, this would probably have been a role he shouldn’t have gotten. The problem with casting someone like Williams is that he has a tendency to steal a movie. Hagrid is a popular, well-played supporting character but should only be that. You can imagine Williams making the character a solid fan-favourite and then comes the changes to the movies, trying to make Hagrid more of a central character and maybe even changing the story from the books to suit the Hollywood legend. Overall, it seems that casting close-calls usually ended up working-out for the better. For every “What-If” it is rare to find a role that would have been better played by someone else, especially the iconic ones. You do have to wonder how Indiana Jones could have been played by Selleck though? What if Selleck had been Indiana Jones though? hehehe Tom Selleck would make “Indiana Jones” be stuck in the 1980s, trapped in the gravity well of Magnum. Harrison Ford mustache-less face make him look more eternal. That is true. Selleck would certainly “date” Indiana Jones. Interesting post. I like Selleck, but Harrison Ford was the perfect choice for the role. Definitely, I couldn’t imagine it any other way. Tom Selleck as Indie hahaha. He’s great but I doubt whether that would have worked!